Driving in Florida is a mission but getting a ticket in the Sunshine State can be a lot to handle. Like many other states Florida uses a point system to keep track of how well people are driving on the road. Each time you make a traffic violation your points start accumulating on your driving record, and as they keep adding up you face severe penalties, such as driver license suspension or revocation. The points don’t only add up on your record but they also result in fines. No one is a perfect driver all the time, so there are ways to make those points disappear after you receive your traffic ticket. 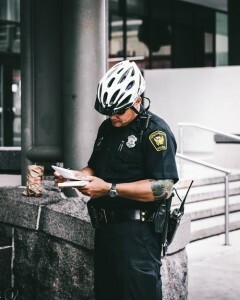 So, when you do receive a traffic ticket the way to dismiss it is by fighting it in court; however there is certain criteria that needs to be met in order to have the points removed. The ticket has to be a non-criminal violation and it can’t be a parking ticket. If your ticket is worthy to challenge in court you must give a formal notice to the proper court in the county where you received the ticket. This information may be located on the traffic ticket or online at the Florida Department of Highway Safety and Motor Vehicles website. There are steps to take for the Florida traffic court process to begin. Make sure to schedule a hearing, then hire a traffic ticket attorney, organize your case, and plead your case. If you’re found not guilty then all you have to do is fill out some paperwork and that will be the end of it. However, if you are found guilty then there might be a fine, court costs, and any additional penalties that you may have to pay. If you are found guilty then you may file for an appeal which may cost more but if found not guilty it will clean the points from your driving record. This update is brought to you by the Miami traffic attorney team of Hochman & Goldin, P.A. We can assist you with criminal traffic violations and we are ready to answer your questions. Please call 305-515-5045 to speak with someone at the Miami ticket law firm today.